Looking directly at the sun is extremely dangerous, damage to the retina occurs in a few seconds and is not reversible. During a solar eclipse (moon blocking the sun) it is very tempting to look directly at this event, doing so usually results in eye damage. 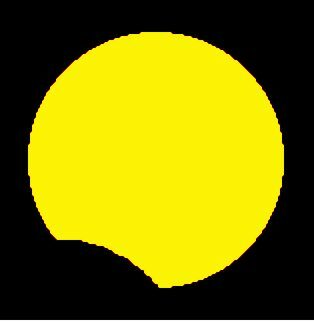 The event can be safely viewed by looking at a projected image of the sun. A small hole in a piece of foil acts much like a lense, creating an image. A device that uses a small hole to create an image is called a pin-hole viewer. 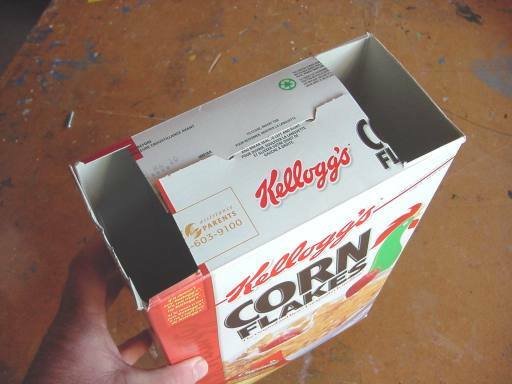 A cereal box makes an excellent pin-hole viewer. (Any box will do). 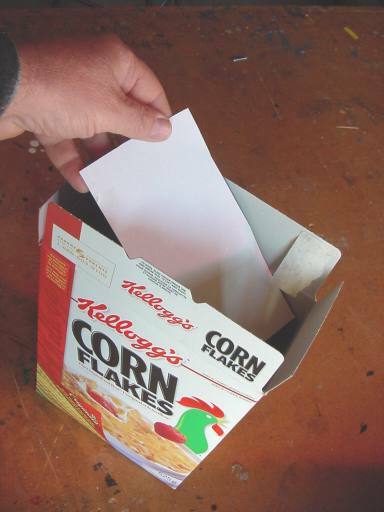 If the bottom of the box isn't white, glue a white piece of paper to the bottom. This makes it easier to see the projected image. 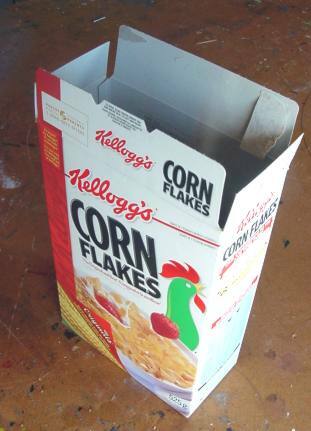 Cut the ends off the box tabs as shown. 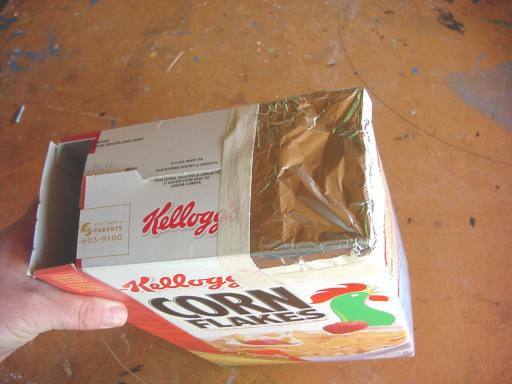 This creates two openings, one for the foil the other for viewing. Tape aluminum foil over one of the openings. 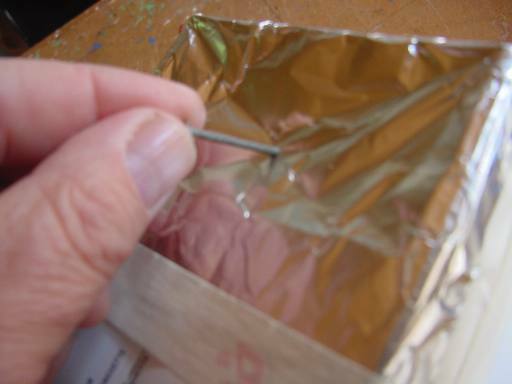 With a small (~ 3mm diameter) nail, push a hole through the foil. The size of the hole isn't critical, you can experiment with different sizes. Hold the finished pin-hole viewer with the sun shining on the pin-hole. The sun will be behind you. Never look directly at the sun! 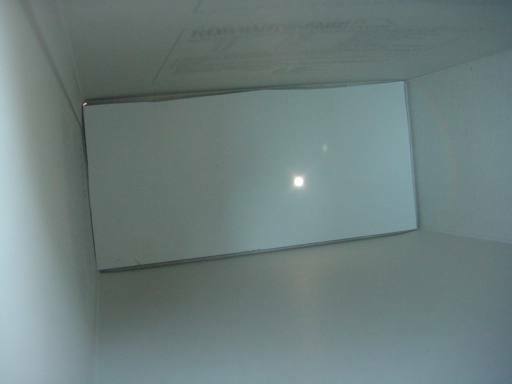 While looking in the opening, move the box until an image of the sun appears on the bottom. You are now safely viewing an image of the sun. 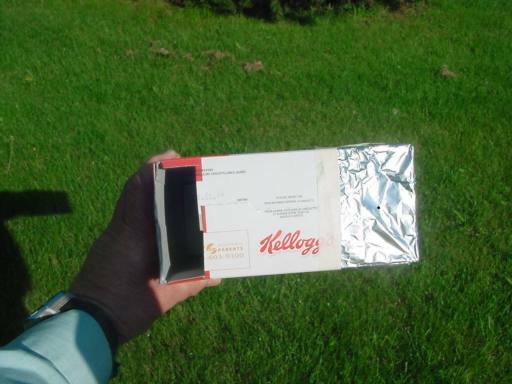 This is a safe way to view an eclipse. 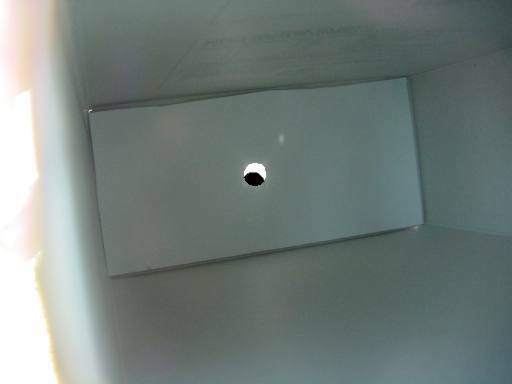 An eclipse would look like this through your pin-hole viewer.